Better than the last! With extended performance functions and even more sounds. 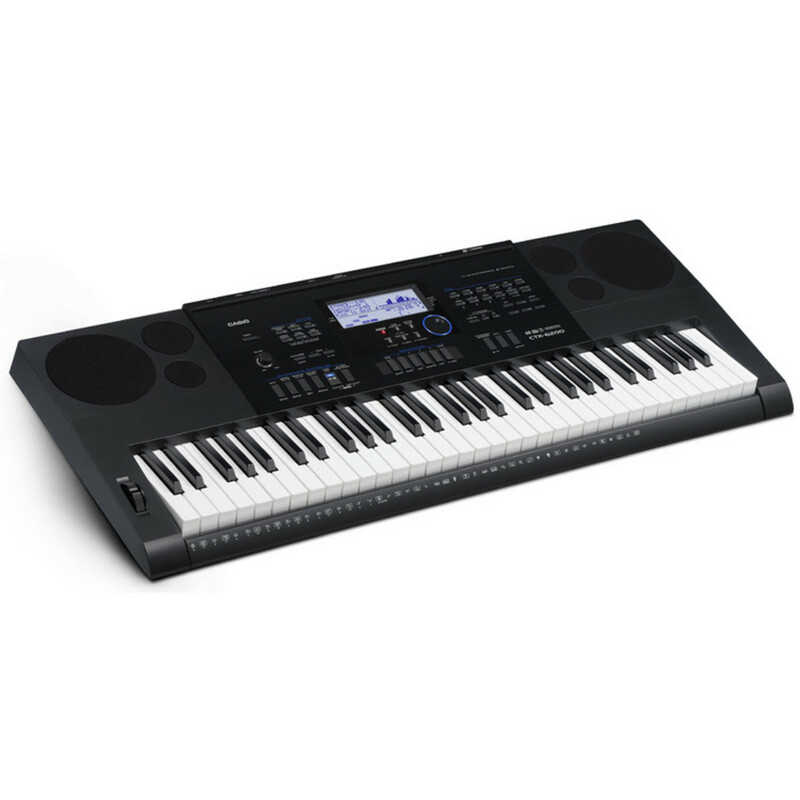 The Casio CTK 6200 features a cool, contemporary design, combined with more powerful speakers and a user-friendly operating display. Casio gives you total control of your performance. And an incredible space for you to explore, create and capture your creativity. Carefully designed with a new addition of a pitch bend wheel and a USB host port. The CTK 6200 comes fully equipped with a whole range of features, that allow you to explore a world of possibilities. 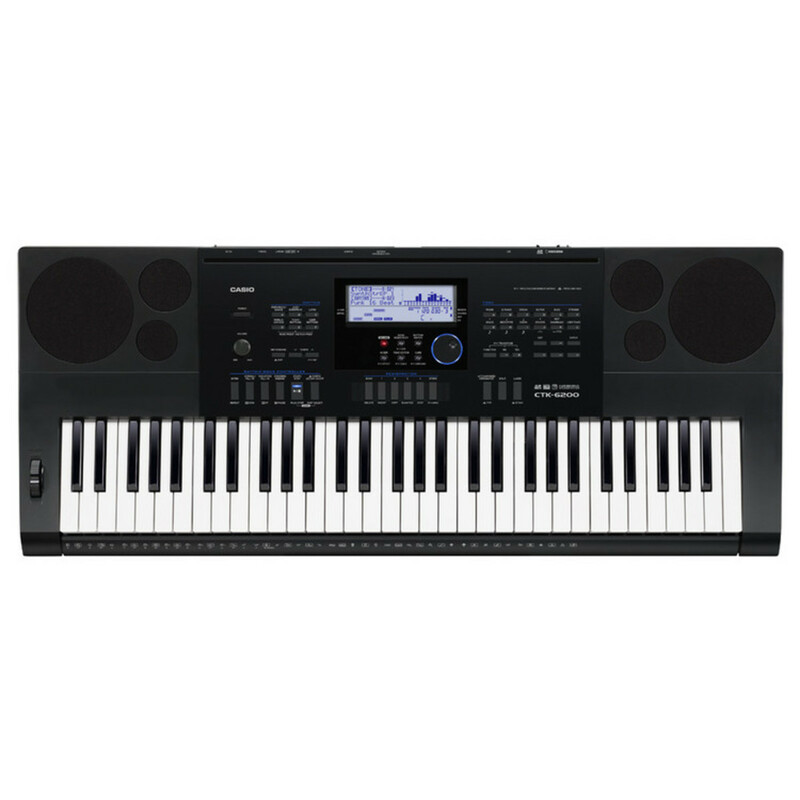 Conceive, compose and create with the CTK 6200. Please note: Power supply is included in this purchase. 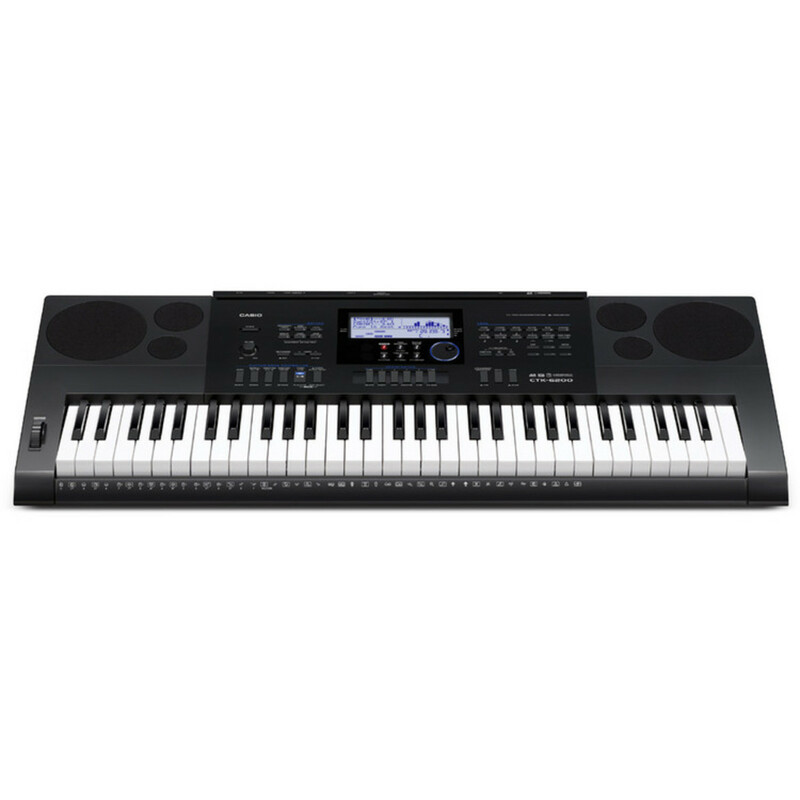 The CTK 6200 is carefully designed with a USB MIDI port, so you can easily connect to your external devices with ease. Quickly and effectively transfer your sound files all thanks to Casio’s own special Data Manager. The 6200 is compatible with Mac and Windows computers. So you can connect without any downloading drivers. If you’re wanting more control over your performance, the 6200 is yours. Since the class-compliant USB MIDI feature allows you to use your Apple iPad as a controller via Apple’s Camera Connection Kit. This keyboard is also available in a CTK 6200 Complete Pack, offering everything you need in a convenient bundle.